D.C. Council member Jack Evans received 200,000 shares of stock in a digital sign company just weeks before he pushed legislation that would have benefited the business, The Washington Post reported Thursday. 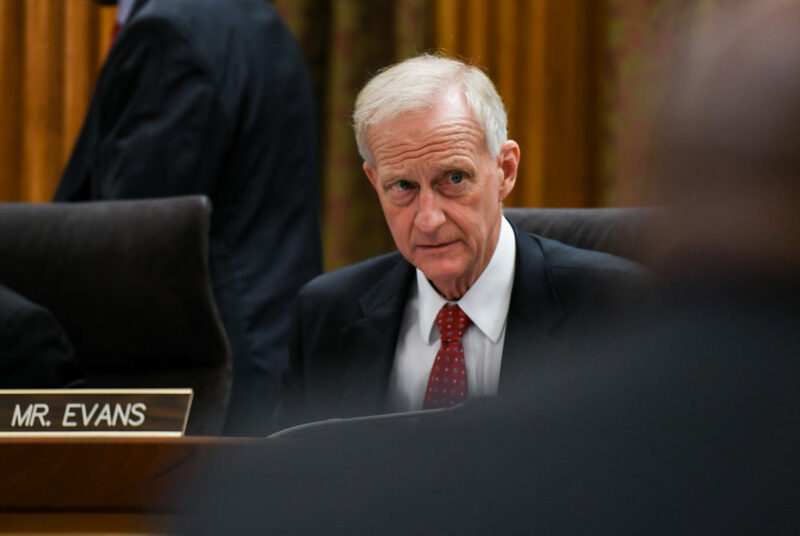 Updated: Feb. 21, 2019 at 11:22 a.m.
A junior and member of the Foggy Bottom and West End Advisory Neighborhood Commission is calling for D.C. Council member Jack Evans to step down after reports surfaced that the Ward 2 representative received stock from a company shortly before he backed legislation that would have benefited the business. Evans’ firm, NSE Consulting, received 200,000 shares of stock from the digital sign company Digi Outdoor Media in October 2016, a month before Evans pushed an emergency measure that would have allowed the company to install signs in the District, The Washington Post reported Thursday. Evans, who later rescinded the bill because it lacked support, told The Post that he returned the stock as soon as it was received but declined to answer additional questions. The Post’s report detailed months of communication between Evans and Digi’s founder, Donald MacCord, dealing primarily with fundraising, payments and other financial agreements. Harnett said in an interview Friday that he was “shocked but not surprised” by the article given that the D.C. Board of Ethics and Government Accountability launched an investigation into Evans’ relationship with Digi in January. The board halted its investigation “in recent months” but declined to say why, The Post reported. “I think for the betterment of the community, he should step aside and allow someone else to take up the mantle of working for Ward 2,” Harnett said. Harnett said The Post article warrants “further scrutiny,” and he supports calls from at-large Councilmember David Grosso to create an ad hoc committee to investigate the allegations against Evans. He added that the ANC will discuss “next steps” over the next few weeks, but he trusts law enforcement agencies to look into the claims. “I think for now what we need to do is make sure the community is informed about what is going on so that we can all make our voice heard and share our thoughts on what we think should happen next,” he said. This post was updated to clarify a quote from James Harnett.